Below is a partial list of transfer majors at Golden West College. The major advisement sheets provided are based upon university course articulation and catalog information at the time of publication. They are unofficial and are to be used as advisement tools. Students are responsible for the current major requirements upon transfer to the university. For current information and a comprehensive listing of articulated major preparation between Golden West College and any University of California (UC) or California State University (CSU) campus, please visit ASSIST at www.assist.org. Students are advised to make an appointment with a Golden West College counselor to develop a comprehensive educational transfer plan. It is advisable to consult with a Golden West College counselor once a semester for changes that may occur. Please call (714) 895-8119 to schedule an appointment. The Articulation System Stimulating Interinstitutional Student Transfer (ASSIST) is the official repository of articulation for California’s public colleges and universities. Assist is a web-based transfer information system which contains data about how courses taken at a California community college can be used when transferring to a UC or a CSU campus. ASSIST includes information on UC and CSU Transferable Courses, IGETC and CSU GE-Breadth coursework, and coursework required or recommended to be sufficiently prepared in a particular major. How do I use ASSIST? ASSIST helps you find community college courses that are transferable to a UC or CSU campus and how those transferable courses might be used to satisfy subject matter requirements for specific majors or general education requirements. Students can view these lists of transferable coursework by selecting a community college. To view articulation agreements, start at the “Explore Transfer Information section. Select the community college, then the four-year institution – you will then be able to view additional information. Information may be available for majors, or by departments. ASSIST also provides information about majors offered at UC and CSU campuses. If you know the major that interests you, or a general area of study that interests you, click on Majors to get started. On the next page, follow the directions in the left side bar to narrow your choices and to find detailed information about your major. If you know which campus you want to attend, and would like to see all of the majors offered at that campus. Click on Campuses, and then select the campus you plan to attend. You’ll then be able to choose from a list of all the majors offered at that campus. Why isn’t the data for the college or university I need one of my choices? There are several possibilities. First, there may not be any formal articulation between the two institutions. Each university campus is responsible for the articulation with community colleges and other universities. Not every university campus provides articulation with every college or for all their majors or departments. Many universities concentrate on their local community colleges and their most popular majors. You may also be looking for a private college or university. ASSIST provides information regarding University of California, California State University, and California Community College campuses only. There is no information about transferring from or to private universities or colleges in ASSIST. Campuses such as USC, Concordia, Chapman, and Vanguard are private institutions. As well, there is no information for out-of-state institutions. Please see your counselor regarding transfer requirements to these campuses. What’s the difference between a transferable course and an articulated course? A transferable course is a course taken at one college or university that can be used for unit credit at another institution. 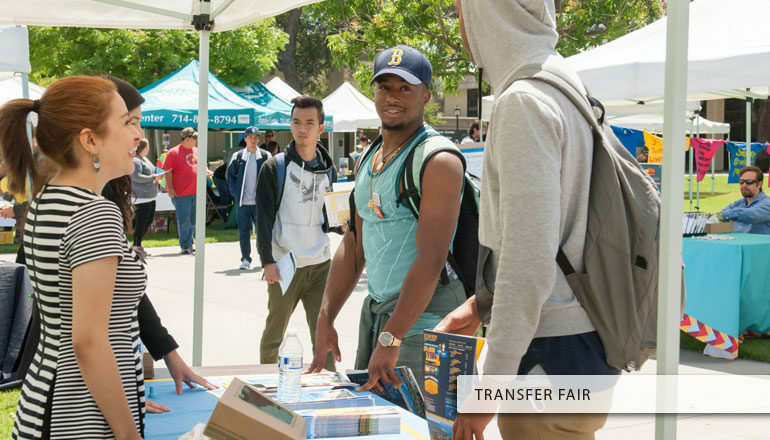 A course that is California State University (CSU) transferable (or Baccalaureate level) is accepted for unit credit at any California State University campus. For Golden West College, CSU transferable courses include any course numbered #100 – 299. A course that is University of California (UC) transferable is accepted for credit at any University of California campus. The University of California Office of the President determines if a course is UC transferable. Coursework that is transferable to the UC is within the #100 – 299 range, however, not all courses numbered #100-299 are UC transferable. Please check the GWC Catalog’s course descriptions for transferability of UC coursework. An articulated course is a course taken at one college or university that can be used to satisfy subject matter requirements (major or general education) at another institution. Except for a handful of exceptions, all articulated courses must first be transferable. It is important to remember, however, that not all transferable courses are articulated. Next, under “Agreements with other campuses” select the UC or CSU campus you wish to attend. Finally, select your major (if listed). You will be given a web-based printout of the courses at Golden West College and the equivalent at the UC or CSU campus for that major. You can then select to “Print this Report” and save for your files. Remember to check back with ASSIST frequently to obtain the most current transfer information and course articulation. As well, you can check ASSIST for current UC and CSU transferable coursework, CSU GE Breadth and IGETC courses, and coursework that meets the CSU US History, Constitution and American Ideals requirements.